Honda Civic 06-11 - DX, LX, EX, Si. 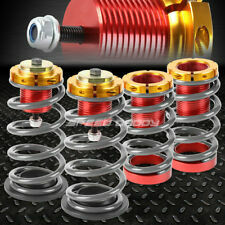 Honda Civic 06-11 lowering spring sleeve kit (red). -Spring rate front: 8 kg Rear spring rate rear : 7kg. (2) Threaded sleeve/adjustable spring perch combinations. (2) Rear spring perch height adjuster units. 2006-2009 Honda Civic 2 Door Coupe/ 4 Door Sedan. Rear Bumper Step. Spring rate: 220 LBS front / 140 LBS rear. Made By High Quality Light Weight SAE9254V Steel With Black/ Red Rubber Coatings. Demo / Installation Video. Includes all of the following (where applicable): strut/shock, coil spring, strut/shock mount, boot, bumper kit, spring seat and isolator. 2003-05 Honda Civic Hybrid Front. 2001-02 Honda Civic Front (excluding SI Models). 2006 HONDA CIVIC 4 1.8 Coupe FWD. 2007 HONDA CIVIC 4 1.8 Coupe FWD. 2008 HONDA CIVIC 4 1.8 Coupe FWD. 2009 HONDA CIVIC 4 1.8 Coupe FWD. 2011 HONDA CIVIC 4 1.8 Coupe FWD. 2010 HONDA CIVIC 4 1.8 Coupe FWD. Honda Civic 2012-2015 (All trims include Si models). (Note: Spring rates and drop amount vary by different vehicle application and chassis load.). Certain applications may require trimming of the bump stop to allow for full shock travel . TEIN S.Tech Springs are an excellent step towards suspension tuning. So what do ya say?. Do you wanna be our friend?. Hit us up if you run into any issues at all, and we?ll make it right. We're here for you. OREDY Rear Complete Struts & Coil Springs w/ Mounts x2 For 01-05 Honda Civic. 2x For 03-05 Honda Civic 1.7L Front Quick Complete Shocks Struts & Coil Springs. 2003 HONDA CIVIC 4 1.7 Coupe FWD. 2003 HONDA CIVIC 4 1.7 Sedan FWD. Complete Strut Assembly includes strut, coil spring, strut mount, boot, bumper kit, spring seat and isolator. 2x Shock Strut w/ Coil Spring. 2006 HONDA CIVIC 4 1.8 Coupe FWD. 2007 HONDA CIVIC 4 1.8 Coupe FWD. 2pcs Rear Quick Complete Struts & Coils Springs w/ Mounts For 01-05 Honda Civic. Front Pair Quick Complete Strut Assembly Fits 03-05 Honda Civic. 2003 HONDA CIVIC 4 1.7 Coupe FWD. 2003 HONDA CIVIC 4 1.7 Sedan FWD. 2006-2011 Honda Civic. 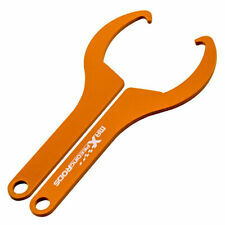 Due to the complexity and security of installing the shock struts. Complete Strut Assembly includes strut, coil spring, strut mount, boot, bumper kit, spring seat and isolator. Through JDM SPORT. 2001-2005 Honda Civic (Does not Fit SI). 32 way adjustable compression damping for precision tuning and damping. Adjustable front camber plate top hats. Adjustable ride height. - Canada and International Countries. For 2001-2005 Honda Civic Rear Complete Struts & Coil Springs w/ Mounts Assembly. 2001 - 2005 Honda Civic. Complete Strut Assembly includes strut, coil spring (when applicable), strut mount, boot, bumper kit, spring seat and isolator. OREDY Front Left&Right Complete Struts Spring Assembly For 94-01 Acura Integra. OREDY Full Set Quick Complete Struts & Spring Assembly for 92-95 Honda Civic. 1994-2001 Acura Integra. Due to the complexity and security of installing the shock struts. OREDY Rear Complete Struts & Coil Springs w/ Mounts x2 For 01-05 Honda Civic. 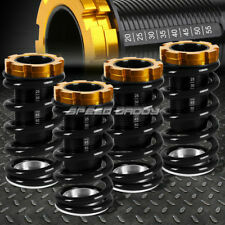 OREDY Complete Struts & Coil Springs w/ Mounts Set x4 For 03-05 Honda Civic 1.7L. 2003 Honda Civic Front/Left EXCLUDES HYBRIDS & SI/SIR MODELS. 2016 Honda Civic ( Excluding Type-R and Si models ). (Note: Spring rates and drop amount vary by different vehicle application and chassis load.). Most of the images provided are for illustration purposes only and may not be the actual products. Which the Oredy products were installed. For 01-05 Honda Civic Rear Quick Complete Struts & Coil Springs w/ Mounts x2. 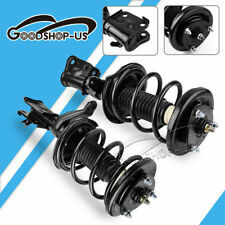 For 01-02 Honda Civic 1.7L Front Quick Complete Struts & Coil Spring Assembly x2. 2006-2011 Honda Civic all models. (Note: Spring rates and drop amount vary by different vehicle application and chassis load.). 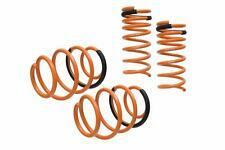 - Springs rate: 250F & 220R. Certain applications may require trimming of the bump stop to allow for full shock travel . 2001-2004 Honda Civic models (will not fit Civic Si EP3). (Note: Spring rates and drop amount vary by different vehicle application and chassis load.). - Springs rate: 280F & 230R. Certain applications may require trimming of the bump stop to allow for full shock travel . 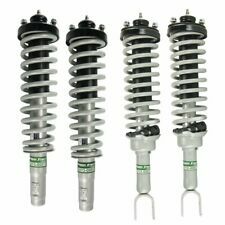 This is a Full Set (4 Pieces) of SENSEN Speedy Struts Complete Strut Assembly for a 2003-2005 Honda Civic (Excludes Hatchback). Cross reference numbers include Monroe: 172185, 172186, 171340R, 171340L, and Gabriel: G57050, G57049, G57062, G57061. APX set number is 10075-SS. GODSPEED PROJECT TRACTION-S SUSP LOWERING SPRINGS FOR 12-15 HONDA CIVIC INCL. Manufacturer: Godspeed Project. Godspeed Project's performance lowering springs are cold wound on coil winding machine with SAE 9254 spring wire material, one of the best materials available. 2002-2005 Honda Civic Si. (Note: Spring rates and drop amount vary by different vehicle application and chassis load.). 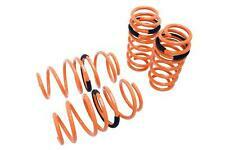 - Springs rate: 300F & 250R. Certain applications may require trimming of the bump stop to allow for full shock travel . 1993-1997 Honda Civic del Sol. - 1992-2000 Honda Civic models. (Note: Spring rates and drop amount vary by different vehicle application and chassis load.). - Springs rate: 280F & 230R. Certain applications may require trimming of the bump stop to allow for full shock travel . BuddyClub's new hybrid Sport Spec coilovers uses a larger size damper for better ride quality. All automotive products sold are for use in the United States (USDM) market only. We are a factory authorized warehouse distributor for these product lines and many more.